Urban Wildlife Guide: Happy July Fourth! It's sunny and warm outside. 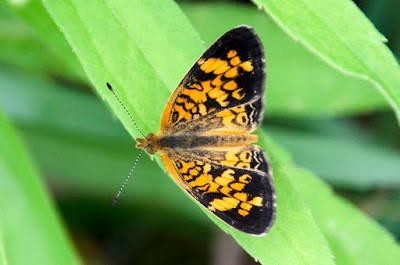 Butterflies like this pearl crescent, Phyciodes tharos, love that. Me too! Have a great holiday! Click on the photo to enlarge.